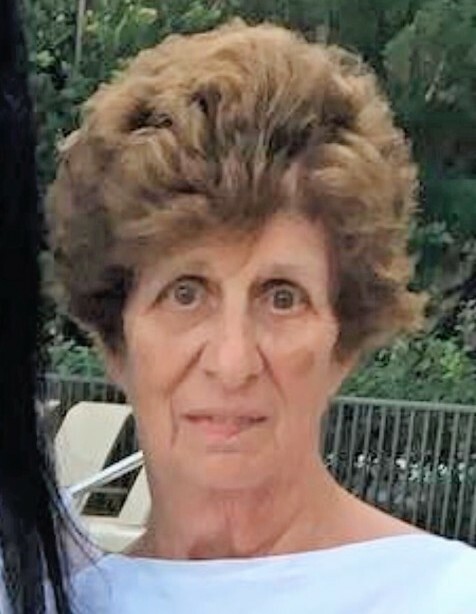 Angela C. Ellis, 81, of Williamsburg, passed away Wednesday morning, January 16, 2019 at UPMC Altoona. She was born in Altoona, daughter of the late Anthony E. and Carmela M. (Spallone) Figurelle. On July 30, 1960 she married Francis W. Ellis at St. Joseph’s Catholic Church, Williamsburg and he preceded her in death on February 12, 1976. Surviving are two sons: Jeffry W. (Lauren) of Williamsburg and Brian K. (Valerie) of Martinsburg; three daughters: Maria A. (David) Colmer of Fort Myers, FL, Francine A. (George) Walter of Christiana, PA and Charlene M. Brantner (Jeff Gorecki) of Williamsburg; 11 grandchildren; two sisters: Regina (Jerry) Seidel of Duncansville and Alfreda Hite of Hollidaysburg; two brothers: Richard (Carol) of Williamsburg and Anthony (Barb) of Brookhaven; and three sisters-in-law: Mona Lee (Jim) Selwitz of Altoona, Cathy (Doug) Dean of Fort Myers, FL and Dorothy Figurelle of Wallingford, PA.
She was preceded in death by five brothers: Eugene, Alfred, Theodore, Edward and Father Elwood; and two sisters: Josephine Twardowski and Gloria Twardowski. Angela was a 1954 graduate of Williamsburg High School. She was a longtime member of St. Joseph’s Catholic Church, Williamsburg and also a member of the Catholic Daughters of America and Altar Rosary Society. She was primarily a homemaker, who enjoyed playing cards, gardening and making candy and many referred to her as “The Candy Lady from Williamsburg”. Angela loved spending time with her family and watching her grandchildren play sports. Family was always the most important thing throughout her life. A funeral mass will be celebrated at 11am, Monday, January 21, 2019 at St. Joseph’s Catholic Church, Williamsburg, Father Aron Maghsoudi, Father Joseph Lehman and Father Donald Boslett con-celebrants. Interment will be held at St. Joseph’s Catholic Church Cemetery, Williamsburg. Memorial contributions in memory of Angela can be given to St. Joseph’s Catholic Church, 628 W. First St., Williamsburg, PA 16693.